Guitarist and composer Dominic Miller has his passport well-stamped. He was born in Argentina, of an Irish mother and American father some 57 years ago. When he was ten, the family moved to Wisconsin, in connection with his father's work. Subsequently, he was to spend time at the Guildhall School of Music in London before returning to the States where he continued his musical education with a summer course at Berklee. For the past ten years, he has lived in France. He began his long association with Sting back in 1991 and has toured and recorded with him ever since. Sting contributes a somewhat gnomic introduction to the liner notes for this album. Miller has also worked with Paul Simon, who also rates him highly, and has been employed as a sideman for a whole gamut of top musicians, drawn particularly from the realms of pop, rock and jazz. He has also recorded a number of solo albums, one of which (Shapes) was classical in both content and execution. Miller speaks of having one constant throughout his diverse and evolving musical career, namely J. S. Bach. For this recording, his debut for ECM, Miller is joined on five of the tracks by a long-time associate and personal friend, London-born and London-based, percussionist and drummer Miles Bould. 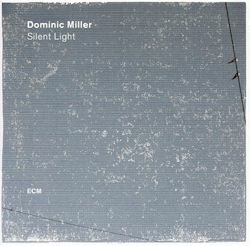 It is clear that the various cultures and countries that Dominic Miller has experienced have influenced his playing and composing. His liner notes are informative about the creative process involved in this particular album. They reveal a musical intelligence in operation which has led to a disc of consistent quality and a marked serenity. The opening track, What You Didn't Say, creates a rich texture of sound. There's an air of melancholy about it at one stage yet also subsequently an interesting change of mood. In addition, a Latin touch is apparent, accentuated by the percussion. Miller describes Urban Waltz as his 'attempt at a Venezuelan waltz in the vein of Antonio Lauro'. Lauro was a leading South American composer for the guitar of the twentieth century with an informed interest in his country's musical heritage. Urban Waltz is brief but illuminating. The poignant Water explores repeated musical phrases while introducing complex variations. Baden is by way of a tribute to another of Miller's heroes, the influential Brazilian guitarist and composer Baden Powell di Aquino and cannot fail to bring pleasure to the listener. En Passant, which derives its title from a chess move, flows in an intriguing fashion. My own favourite is the mellow Angel but Chaos Theory, where Miller seeks to channel the Brazilian band Azymuth, is also thoroughly enjoyable. This is the one track where there is an overdub of a second guitar and electric bass. Fields Of Gold is the sole composition from a source other than Miller himself and is, of course, by Sting. This beautiful melody receives a suitably reverent treatment. The engaging Tisane and Valium have in common roots in the folk tradition. The final track, Le Pont, has an acknowledged debt to French music of the early1900's (but also to the Brazilian Villa Lobos). In his liner notes, Dominic Miller has been transparent about his influences yet this should not suggest that he is derivative in style. He has produced a fine album which showcases his undoubted facility as a musician. Listening to it, at times, felt positively therapeutic.